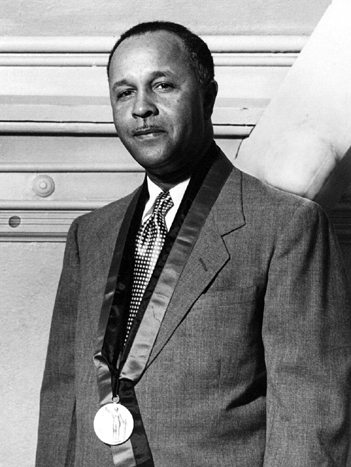 Percy L. Julian was a research chemist whose trail-blazing work in uses for soybeans resulted in the development of a multiplicity of new products, the most important of which are low cost drugs and hormones. He devised an inexpensive form of cortisone, used in the treatment of arthritis, from soybean sterols. His research led to the manufacture in quantity of the hormones testosterone and progesterone. Among his many “firsts” in the field of steroids was his synthesis of the drug physostigmine, used to treat glaucoma. Dr. Julian was a member of the National Academy of Sciences.